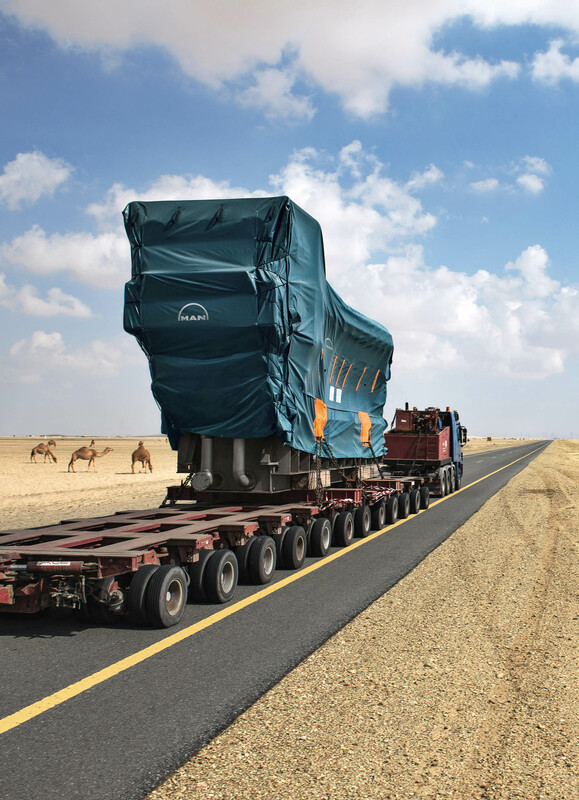 MAN Diesel & Turbo engine transported through the desert of Saudi Arabia. MAN Diesel & Turbo has received an EPC-contract to build a power plant for the Arabian Cement Company (ACC) in Saudi Arabia. The 40 MW plant will be equipped with two type 18V48/60 TS engines and will provide power to a cement factory in Rabigh, around 120 km north of Jeddah, at the red sea coast. The plant will be operated by heavy fuel oil (HFO) and diesel oil (DO). The MAN 48/60 TS engine offers two-stage turbocharging, making it one of the most efficient engines on the market. The two-stage version delivers extra power, greater power density and increased turbocharging efficiency compared to the engine with a single turbocharger. Construction of the agreed first phase of the power plant is scheduled for 2016/17. The plant’s capacity will be increased to a total of 120 MW by two additional phases of construction which will see a further four engines installed. 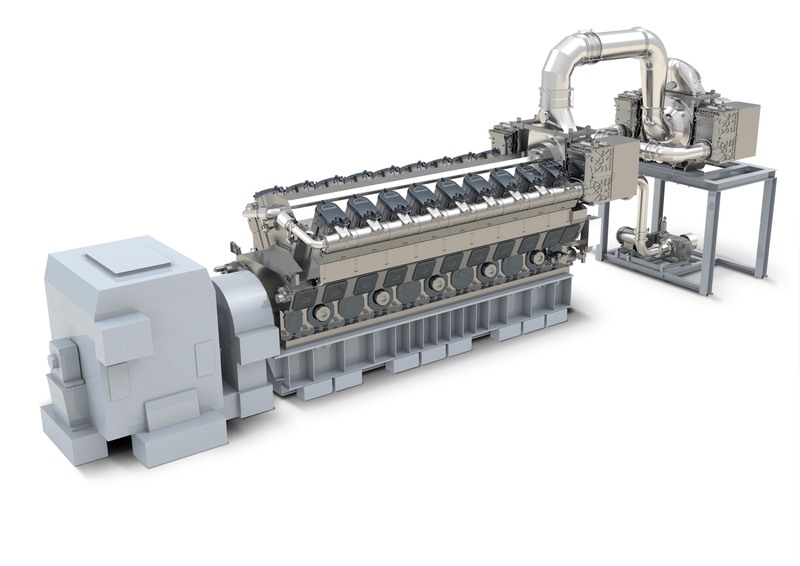 As the consortium leader for engineering, procurement and construction (EPC), MAN Diesel & Turbo is responsible for the construction of the entire plant. This is a familiar role for the company, which already has a wealth of prior experience in the region. “This order marks another milestone in the development of our EPC business in Saudi Arabia and speaks to the trustful relationship we were able to build with the local cement and building industry”, says Ashraf Al Natsheh, Senior Sales Director Power Plants for Saudi Arabia In 2016, MAN will also hand over a 55 MW power plant to the customer United Cement Industrial Company, which is operated by MAN’s service brand PrimeServ. The extreme climatic conditions in Saudi Arabia are challenging for personnel and technical equipment. “Ambient temperatures up to 50°C, ambient air full of dust and sand, and occasional heavy rainfall are the kinds of conditions we have to deal with here”, explains Ralf Göppel, Senior Project Manager at MAN Diesel & Turbo.